The island nation of Malta is comprised of an archipelago of seven islands in the Mediterranean Sea. Every year, millions of tourists visit Malta for fun in the sun and relaxing holidays. 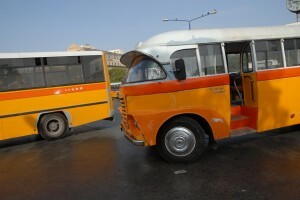 Malta’s location affords tourists mild weather almost year-round. One of Malta’s most popular towns is Sliema. Sliema is a coastal town located on the north eastern edge of Malta. Sliema, which means ‘peace, comfort’ has grown a lot from its humble beginnings as a fishing village. It is now a hotspot for tourism, shopping, restaurants hotels and cafes. 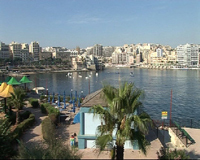 Many of the Sliema hotels have breath taking views of the Mediterranean Sea. 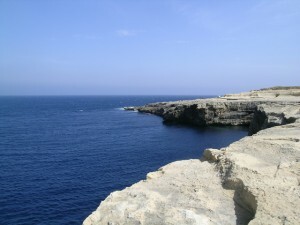 In fact, the coastline from Sliema to St. Julian’s comprises the main coastal resort area on Malta. The good news for holidaymakers is that once they’re off there Malta flights it’s not far from the airport. Being a coastal town, Sliema is the perfect holiday spot for lovers of water sports. 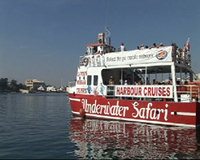 Sliema’s harbours are always abuzz with boaters, tourists and water lovers of all kinds. Many of Sliema’s top hotels overlook the docks and clear blue waters that so many row boats, sailboats and yachts call home. Sliema’s neighboring town, St. Julians, also had humble beginnings as a fishing village. Sliema’s rapid growth has greatly impacted St. Julians as well. Malta, more specifically Sliema, has become a hub of excitement and romance for many holidaymakers. The small, densely populated town provides a small town feel with big city appeal. Hotels in Malta range from five-star to economy hotels to accommodate even the tightest purse strings. Sliema is home to Malta’s most recent economic growth including hotels, resorts, restaurants and cafes. The area’s residential and commercial properties have also seen great improvements and growth. Hotels in Sliema help create a beautiful scenic skyline as well as add beauty and functionality to the densely populated town. In 2007, in Sliema alone, there are twenty-nine hotels, eight bed and breakfasts, eight resorts and three conference centers. The selection of hotels in Sliema varies as much as the selection of restaurants or sidewalk cafes. All Sliema hotels have one thing in common – their dedication to your comfort. Their common goal of customer satisfaction quite possibly the only thing they have in common. Hotels in Sliema vary greatly in architectural design as well as location, specials and amenities. Sliema has an extensive coastline full of beautiful white sand beaches and semi-private coves. Some of the most sought after resorts and hotels in Sliema are along the Malta coastline, overlooking the Mediterranean Sea. With popular dive sites mere minutes away from some of the most popular hotels in Sliema, the coastal hotels are a diver’s paradise. Some of the most popular dive sites include caves, reefs and shipwrecks. The choice of dive sites is virtually endless. With the sheer number of dive sites available, you will have the opportunity to explore a variety of underwater worlds. The Mediterranean Sea’s temperatures average 23 degrees Celsius (73 degrees Fahrenheit) during the summer months and drop to around 15 degrees Celsius (59 degrees Fahrenheit) during the winter. The next time you plan your Malta holidays, be sure to include Sliema on your itinerary. Whether you enjoy relaxing on the beach, hiking, shopping or diving, Sliema has something for everyone. The resorts and hotels in Sliema are as incredible as the town itself.